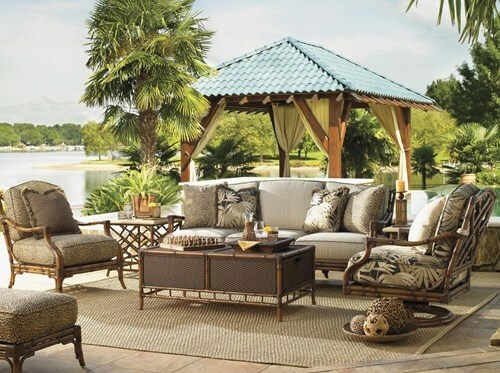 Design an outdoor space worthy of a staycation with patio and outdoor furniture from Baer’s Furniture. The indoor living room or dining room is no longer your only entertaining option in your home. You can create a space outside where you can completely relax alone after a long day or entertain a large group for parties or celebrations. 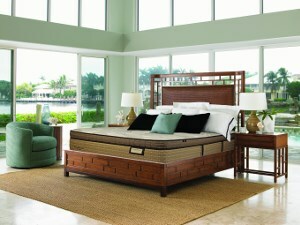 From living room-like pieces to dining, you can find the piece you need from Baer’s. Take the party outside and sit comfortably on an outdoor sofa then add additional seating with a loveseat or group of chairs for a conversation set. Make the chairs even more comfortable by adding a place to prop your feet up with an ottoman. Serve food and drinks around a dining table then add in chairs for comfortable seating. Or add a dining set that is put together for you with pieces you know will complement each other as well as your beautiful landscaping. Your deck, patio or yard allows you to enjoy the outdoors, soak up sunshine and relax so why not add pieces where you can sit comfortably or entertain effortlessly? Chaises provide the perfect poolside seat as you soak up the sunshine while you read a book or take a nap. As the party goes late into the evening gather around a fire pit to share stories, stay warm or make s’mores. Ideal for larger groups, bars and barstools allow you to have a space where you can serve drinks and have guests mingle. Renew your love for the outdoors with a comfortable outdoor sofa from Tommy Bahama Outdoor, a brand that exhibits quality and style for pieces that completely transform your outdoor space. With your ability to expand your entertaining capacity, outdoor furniture allows you to create a second living room or dining room on your patio or deck.